i am in full holiday mode now! the stockings are up, the christmas music is playing & next week we are going to the local tree farm to cut down a fresh tree for modest house. perfect for the winter season, this Castello cheeseboard is honestly my favourite cheeseboard that i have made so far. it is so naturally gorgeous with the different cheeses, meats, fruits & chestnuts. my family loves roasting chestnuts around the holidays so i wanted to create a cheeseboard that reflects a perfect winter night by the fire incorporating the roasted chestnuts. i stuck to strong cheeses including Castello's Tickler Extra Mature Cheddar, Aged Havarti & Smoked Gorgonzola... yes, Smoked Gorgonzola. i love blue cheese & anything with a smokey flavour so i was pretty excited to see Castello's Smoked Gorgonzola is easily available. it goes perfectly with the crisp weather, figs & little pears. it took us about 5 seconds after photographing to devour almost everything on the board. i hope you enjoy this winter night cheeseboard all season long! 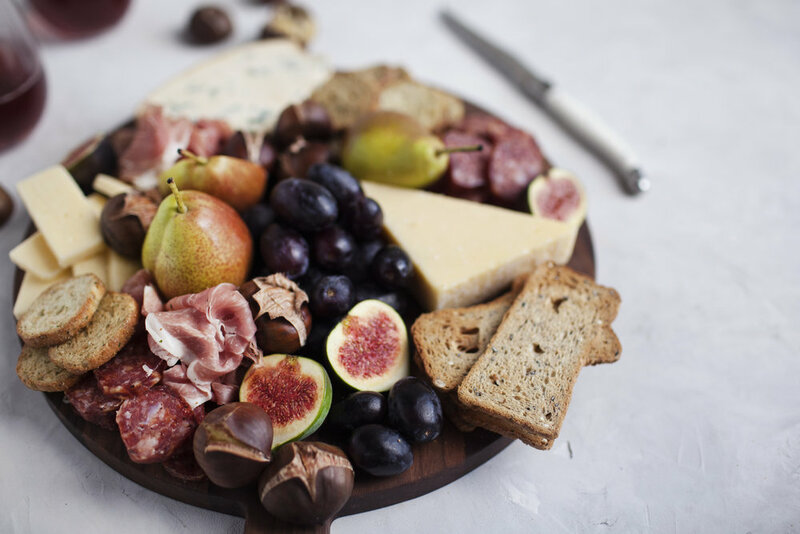 for more inspiration check out last holiday's sweet & simple + bold & blue cheeseboards featuring Castello cheese. P.S. 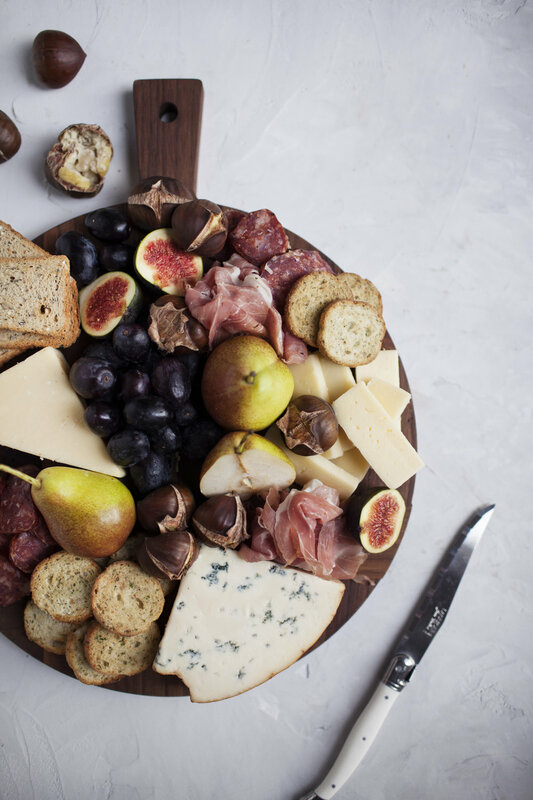 want to make this cheeseboard for your next holiday party? 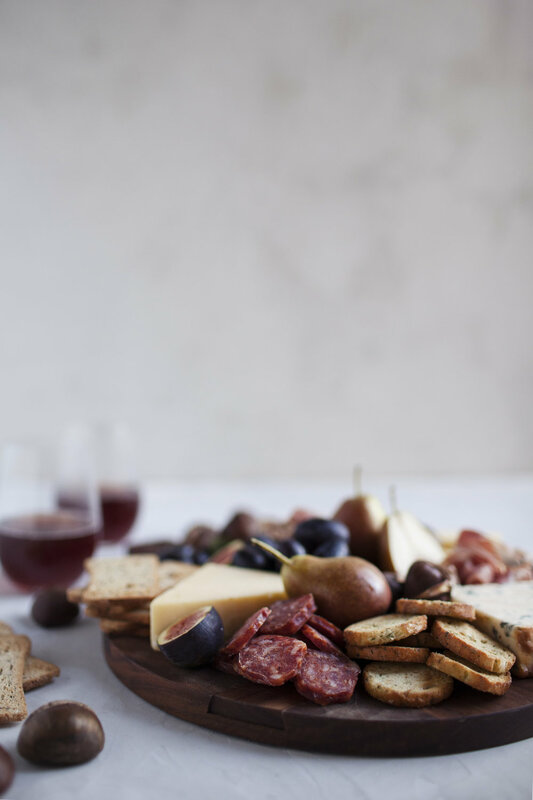 enter here for a chance to win $20 in Castello cheese & a gorgeous wood cheeseboard of your own! place the Smoked Gorgonzola, Tickler Extra Mature Cheddar & Aged Havarti onto the desired cheeseboard. surround cheese with prosciutto, sopressata & crackers. fill remaining spaces with pears, figs & grapes. top with roasted chestnuts (i like to serve a few extra on the side, my family loves freshly roasted chestnuts! ).